The beautiful green blue waters of the Anjarle Beach offer a splendid view to the tourists visiting this beach. It is situated at a distance of 26 kms from daboli. 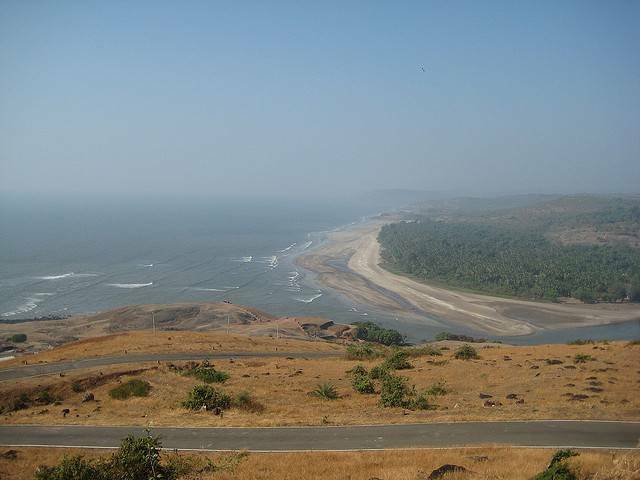 The beach is clean and secluded and is famous for the ‘Kadyawarcha Ganpati’. Anjarle has the beautiful white sparkling sand covering the beach and is surrounded by palms and trees. The beach is located near the lagoon of the river Jog, which is about two kilometers long.